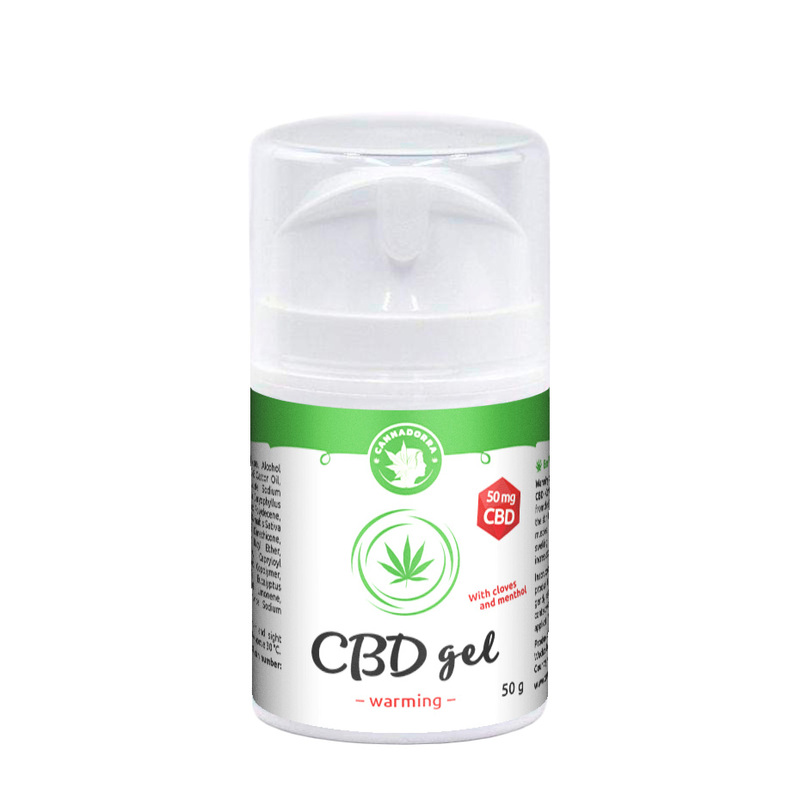 CBD warming gel with menthol and cloves - contains 50mg of CBD. It is suitable for rapid relief of stiffness of muscles, effusions, contusions, rheumatism, and swelling. Removes the feeling of fatigue after increased physical exertion. Warming cloves-menthol emulsion gel with CBD - Cannabidiol, hemp seeds oil and essential oil from the eucalyptus. It is suitable for rapid relief of stiffness of muscles, effusions, contusions, rheumatism, and swelling. Removes the feeling of fatigue after increased physical exertion. Contains 50 mg of CBD. Apply a small amount of the product to affected areas (neck, back, etc.) and gently massage. CBD - Cannabidiol is one of the two most well-known, and in terms of the effects of the most important cannabinoids. Cannabinoids include not only natural substances contained in hemp but also those produced by our organism (endocannabinoids). These substances maintain the balance of our metabolic system. The cannabinoid system affects practically all the functions of our organism and opens our consciousness to new ways of thinking. The Cannabinoid system helps us to take change and adapt merrily and peacefully, just to be open to them.